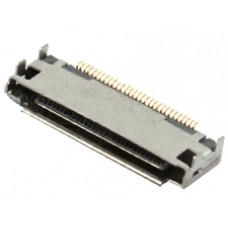 The charging dock socket connector is surface mounted on the Samsung Galaxy Tab 2 logic board, the socket allows you to charge and synchronise data with the Tab 2. The connector socket is easily damaged when using poor quality third party data and charge cables. Please be aware replacing this component requires soldering skills.